The software that runs a pinball machine is really complex. 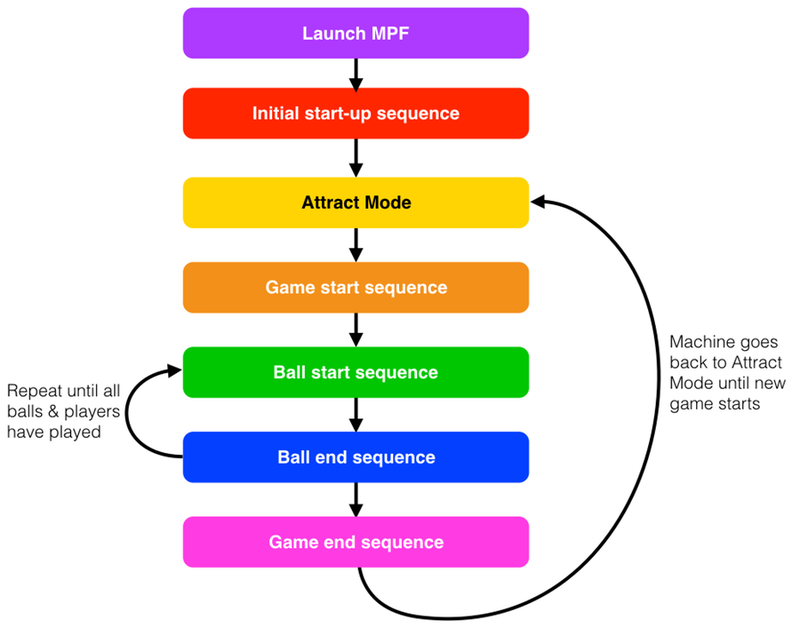 Even though MPF hides a lot of that complexity from you, it’s still helpful to know exactly what’s going on under the hood. This diagram shows the high level flow. Read on to see the details of each step.